In case you didn’t noticed after the trailer and advertising campaign, the Snow White of vintage Disney is gone. Instead, director Rupert Sanders now offers us a compelling new spin on the old fairy tale in Snow White and the Huntsman. 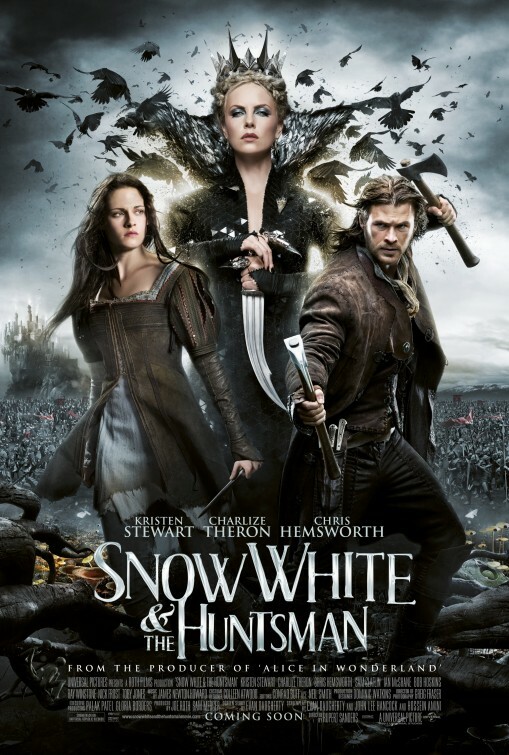 This time, the wicked queen seduces and kills Snow White’s father as part of the backstory; there’s a love triangle between Snow White, the huntsman, and the prince; Snow White dons armor and leads an army against the queen; and, in a deliberate step away from campiness, the dwarves don’t have adjectives for names.